Monday, May 26th, is Memorial Day. 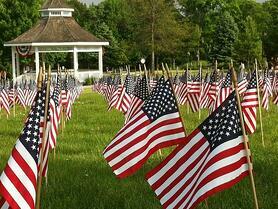 Once known as Decoration Day, it is when we remember people who lost their life in the line of duty. Wilmot wants to commemorate some of those who lived in our state of Maryland. We also send our condolences to their families and friends and thank them posthumously for the sacrifice they made for us. Matthew Seidler, 24, of Westminster, Md. was killed in the line of duty in southern Afghanistan. Seidler, an Airman 1st class with the Air Force, had one of the most dangerous jobs – to detect and dispose of Improvised Explosive Devices, IED’s, on a daily basis. That risky assignment led to his death, when a roadside bomb hit the vehicle carrying him and two other airmen in the Helmand Province of Afghanistan. All three men were killed. Seidler was raised and educated in the tight-knit community of Westminster, Maryland, attending Westminster High School, Stevenson University and Carroll Community College. Neighbors and friends were stunned and solemn as they slowly were informed of his death. Baltimore native Army Spc. Jameel T. Freeman was killed in the line of duty in Afghanistan, military officials said. He was 26. Police Officer Jason Schneider was shot and killed while serving a search warrant at a home on Roberts Avenue, in Catonsville, at approximately 5:00 a.m.
and opened fire, striking him several times. Despite being mortally wounded, Officer Schneider returned fire and killed the subject. Two juveniles, including the subject they were originally searching for, were later charged with weapons violations. Officer Schneider was a U.S. Marine Corps veteran and had served with the Baltimore County Police Department for 13 years. He is survived by his wife and two children. The young, volunteer firefighter, died after being critically injured in a fire in Reisterstown, MD. He was injured in a single-family home fire that also killed a 58 year old man. Kirchner collapsed on the second floor of the structure during firefighting operations there. Kirchner had been a junior firefighter for two years before serving another nine years as a volunteer firefighter. Wilmot Modular Structures, Inc. is located in White Marsh, MD. Many of our employees devote their personal time and money to local projects. We are committed to serving our community and its citizens and are fully indebted to those that serve us.